Want to get your business on social media but don’t know where to start? Want to be more active on social media but can’t find the time? Social Bods are here to help. 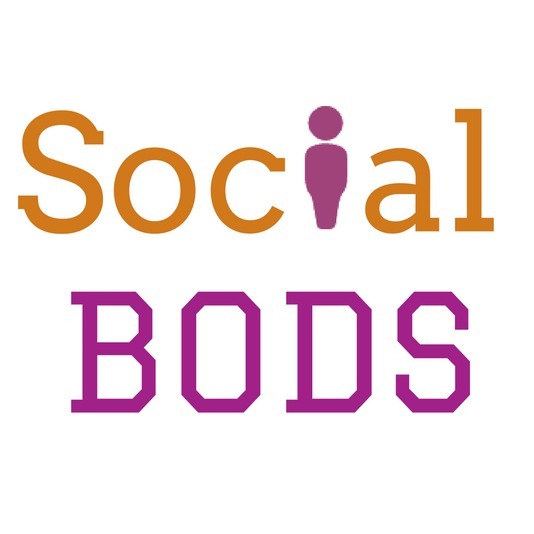 Founded by Joanne Brady, Social Bods has been formed from years of social media marketing experience both for personal projects and for businesses. Social Bods are now a boutique agency operating in East Yorkshire. With four flexible members of staff, Social Bods has the personal service that comes from using individual freelancers with the benefit of having more comprehensive customer service cover for your business. “Joanne and her team have raised the bar for standards in social media! They showed great willingness to get to grips with a niche topic and formulate a social media plan that helped bring awareness of our products and services to a wider audience. Their help with content management, their efficiency and ability to manage to deadlines helped us at Baxter Thompson Associates create the professional image we wanted”. “Joanne has proved to be a very smart choice in helping me to manage my clients’ social media accounts. She’s very knowledgeable and enthusiastic about all things social”. We have clients in many diverse industries, both B2B and B2C, including legal services, recruitment, health and fitness, spa and beauty, business consultancy, car and car audio, and professional consultancy. We can do anything from simple tweet writing, right through to office-hours monitoring and customer response. We can even do weekend and evening cover on request. Our prices depend on what you want, which can vary wildly, but we do have a price list that will give you an idea. See our price list. Why not sign up for our newsletter and get news of upcoming events, and tips on improving your social media marketing? Contact us for a free consultation and bespoke no-obligation quotation. How much can I expect to pay for social media management? The price you will pay will vary depending on your needs. We charge around £16 – £21 per hour and work out a monthly management fee depending on how many hours we think we will need to carry out the work you require. While we are not cheap (with good reason), we do pride ourselves on doing things properly and we don’t cut corners. We could do work cheaper through use of automation tools but these can get you into trouble with social media networks and frankly make you look a bit naff. Our clients are on packages anywhere from £150 per month for basic Twitter management, to £1000+ for multiple networks, more frequent content, customer services and chat services, and email marketing. Around £300 will get you a one post per day service on up to three of the main social networks re-purposing content as appropriate. But this can vary depending on the nature of your content – if it’s something straightforward (you’re an estate agent or a wedding supplier) we can sometimes do this at a better rate. If it’s something more complicated (you’re a niche finance company or specialist lawyers) then we may not be able to be so flexible. Social media management, done well, is labour intensive and requires people who are capable and able to think practically and creatively. Read our blog post about why we cost what we cost.